. 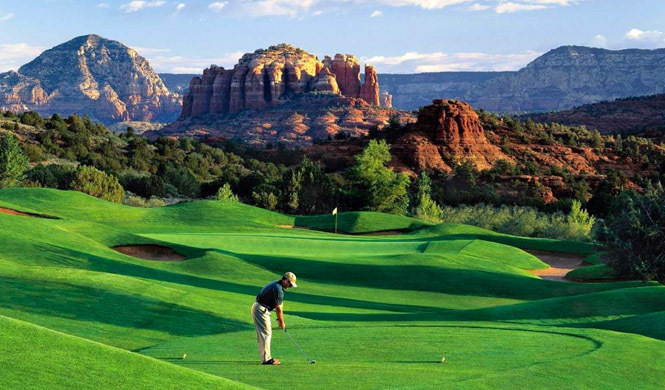 : JZVacations.com - Sedona Arizona :. 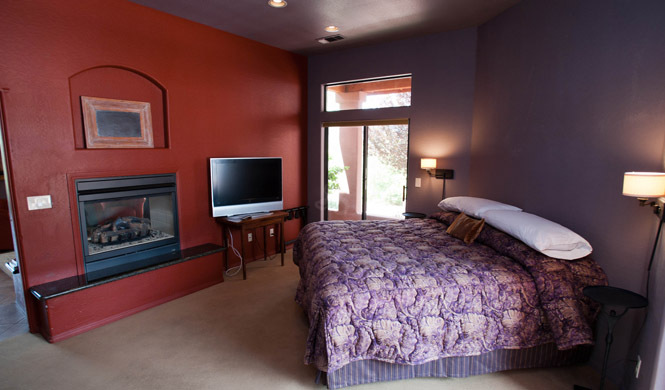 For a couple and 2 companions (children or adults) Nestled in a spectacular red rock landscape, the Villas of Sedona can put you right in the action or get you away from it all. Discover magnificent and inarguably beautiful, the Grand Canyon is easily Arizona’s most distinguishable landmark. The City's 1992 Community Plan established a Historic Preservation Element. In 1997, the City adopted a Historic Preservation Ordinance. The first five member Historic Preservation Commission was appointed by City Council in late 1997, and Sedona achieved designation by the State of Arizona as a Certified Local Government (CLG) in 1998. Often called "Red Rock Country" Sedona is a four seasons playground for everyone - whether you're into history and archaeology; arts and culture; shopping; outdoor sports; or the spiritual and metaphysical, imagine doing all this in a backdrop of some of the most spectacular scenery in the world. This picturesque city is surrounded by red-rock monoliths named Coffeepot, Cathedral and Thunder Mountain. At the north end of the city is the stunning Oak Creek Canyon, a breathtaking chasm that is wildly wonderful. 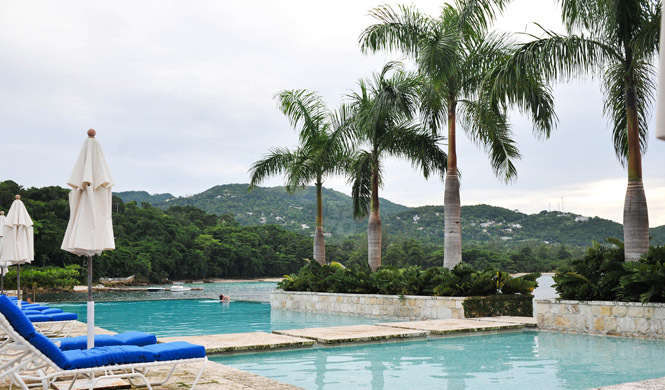 Natural endowments aside, you'll also find world-class hotels, resorts, bed and breakfasts and a very good variety of dining to keep you satisfied. 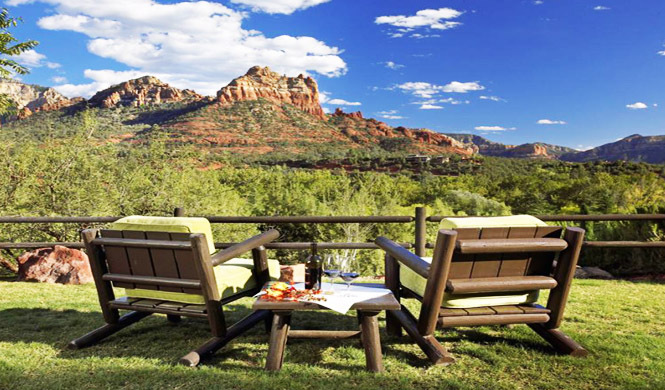 Escape the chaos of life, kick back and relax in Sedona. Exploring the Grand Canyon is a wonderful experience, but you won’t want to miss Sedona as part of your Arizona adventure. Just a short drive south through scenic Oak Creek Canyon, Sedona offers inspiring overlooks, hundreds of miles of hiking and biking trails, and beautiful red rock vistas. 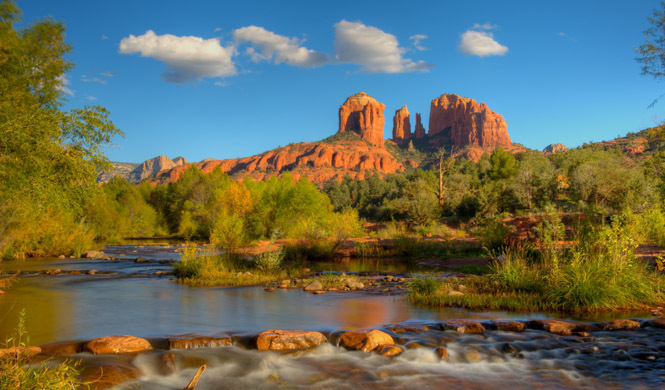 Visitors enjoy Sedona’s seasonal changes in a red rock playground where families can escape, romantic adventures begin and photographers dreams come true. 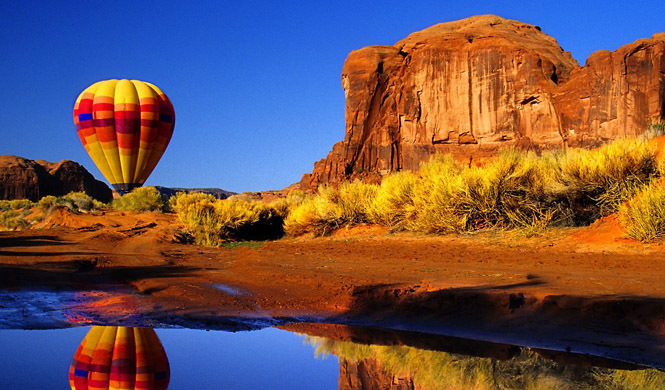 Sedona offers healing & restorative therapies, adrenaline inducing off-road tours including Jeep and Hummer excursions, and a shopper’s paradise. Experience the cool, crisp mountain air of Oak Creek Canyon and be mesmerized by the glowing red rock formations. The year round population of Sedona is approximately 10,000 (census 2010). The elevation of Sedona is approximately 4,350ft (at Town Hall). Sedona has almost 19 square miles, 51% of which are owned by private land owners, while the rest belongs to Coconino National Forest! The highest point in Sedona is approximately 5,600ft (Coffee Pot Rock), and the lowest point in Sedona is approximately 4,000ft (Oak Creek, Back O' Beyond Rd). The average age is 50. We have anywhere from 2 to 4 million tourists per year. 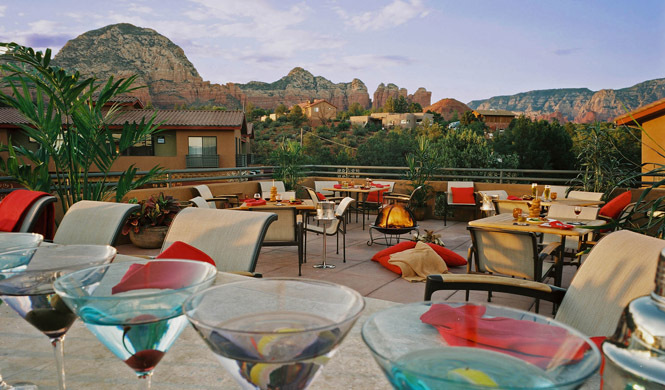 Cood evenings and plentiful sunshine during the daytime welcomes in our Holiday Season in Sedona. Music, art and wine are all part of the December festivities. On the first Friday of every month, many of Sedona’s prominent art galleries host an evening of openings, demonstrations and receptions. The Sedona Trolley offers free transportation during the 1st Friday Gallery Tour, circulating from Uptown to the world-class galleries clustered in small plazas like Hozho Center and Hillside Sedona. Crowds move through the delicious twilight that cradles Sedona, nibbling food and gazing at everything from fine art to funkier creations. HOLIDAY CENTRAL SEDONA- The month of December will find Sedona transformed into a winter wonderland with events and entertainment taking place every week in December. December 14: FESTIVAL OF LIGHTS - The lighting of 6,000 Luminarias. On Saturday, December 14 from 3:00 - 8:00 pm. This one day event - A cherished tradition which involves the lighting of 6,000 luminarias in Tlaquepaque’s courtyards and walkways at 5:00 pm. Please note that from the time of purchase you will have (1 YEAR) to make use of this vacation package and reservations must be requested 20 days prior to the check-in date. Changing a reservation dates must be requested at least 10 days prior to the confirmed date. Dress code may apply in restaurants. There should be a card with the Visa or Mastercard logo for check-in is not allowed debit card. At least one adult must be over 25 years old. Voucher is non-combinable for extended stays. 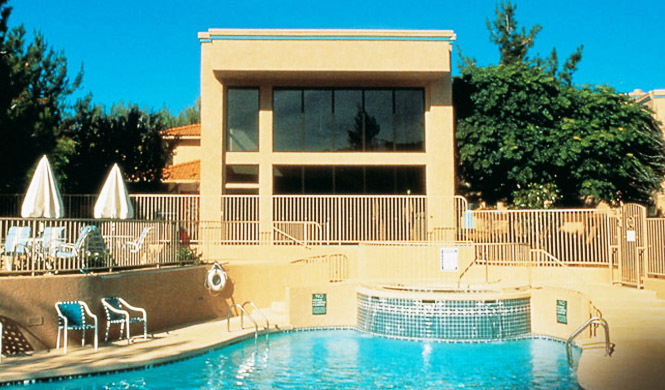 This vacation can not be used in conjunction with any other promotional vacation offer. This vacation are not VALID for groups. A group is considered two or more families traveling together or meeting at he same resort, hotel, during the same vacation period. Not including the booking fee $69.99 USD is applied at the time of your booking request to destination. This promotion and prices are obtained only through JZVacations.com, on behalf of the participating hotels. we do not accept cancellations or returns of this final sale deal can not be redeemed for cash. For your convenience you can book through our facebook or directly from our website www.jzvacations.com, please make a reservation by following the steps in the reservation button . Dates with holidays like July 4th, Labor Day, Thanksgiving, Christmas, New Year - booked subject availability. All travelers will be required to attend a private viewing at the resort or hotel (approximately 90 minutes) to familiarize them with all the amenities available to them during their vacation and the options for participation in one of the vacation ownership plans. You can not use 2 or more consecutive packets to extend the stay. Please note that from the time of purchase you will have (1 YEAR) to make use of this vacation package and reservations must be requested 45 days prior to the check-in date. . The dates with holidays like July 4th, Labor Day, Thanksgiving, Christmas, New Year, Easter, Valentine's, are subject to availability at both destinations. For your convenience you can book through our facebook or directly from our website www.jzvacations.com please make a reservation by following the steps in the reservation button. ( 45 days before the date of arrival ). Change of date or cancellation at least 20 days in advance. Hotels participating Radisson, Sheraton, Ramada, Crown Club Inn, Holiday Inn Resort in Lake Buena Vista, among others in the same category. Accommodations are subject to availability. Extra people must pay at the time of the reservation. Request directly to the agency JZVacations.com cost per extra person (Kid or adult U$899 for the 9 days of vacation). This promotion and prices are obtained only at JZvacations.com Inc., in representation of the hotels and Cruise Lines participants. Final sale vacation package. We do not accept cancellations or refunds. Not redeemable for cash. Does not include port taxes, booking fees at the Bahamas Cruise, Miami Hotels tax or Orlando hotel tax. U$149 x person are due at the time of reservation. Universal Orlando is more than a theme park, It is a world of action and excitement with TWO spectacular theme parks unmatched by anything else in Orlando. At Universal Studios and Universal's Islands of Adventure, each member of the family can share unforgettable experiences with everyone else. You can live a great adventures, have fun with your kids, rejuvenate, have a romantic dinner and challenge yourself in the incredible theme park attractions. Universal Studios ® and Universal's Islands of Adventure ® are open 365 days a year. The operating hours usually start at 9am and closing times vary. UNIVERSAL STUDIOS FLORIDA ® is a real studio film and television that allows visitors to experience the action of your movies and favorite TV shows on the sets of external recording. Make an unforgettable trip into the more advanced rides, shows and interactive attractions that capture the world, vividly, stories, myths, cartoons, comic books and children's stories favorites.